ngc896 taken on 11/12/2010 from my backyard. 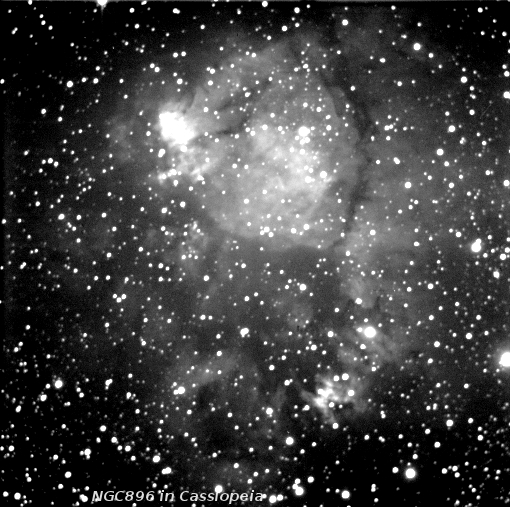 A 10\" LX200@f6.3 - SBIG & ST9XE, 60x30seconds exposures. CCDops, CCDSoft, and The Gimp used to process the image.